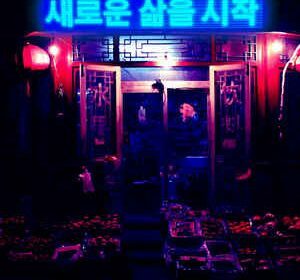 In a way, 새로운 삶을 시작1 is kind of a sister album to 2814’s 新しい日の誕生. Both came out in 2015, a year that Sunbleach considers a high-water mark for vaporwave and led to a veritable explosion of music and new forms of music unseen since 2011/2012. 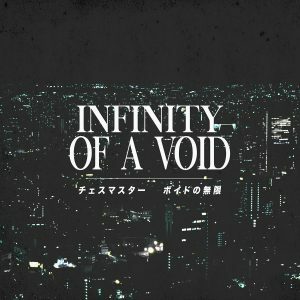 Like 新しい日の誕生, this album is an ambient vaporwave/dreampunk release with an urban atmosphere and slushy production value, although it is significantly darker in tone when compared to 2814’s masterpiece.2 It was originally self-released, although it later found a short cassette run on the Canadian label Lost Angles. 새로운 삶을 시작 is largely based on samples from the soundtrack to the cyberpunk video game Mirror’s Edge.3 That makes this album extremely different from 新しい日の誕生, which is entirely (or almost entirely) original music. For the most part, 2047’s work is heavily based in its samples with some extra drone and lengthening of sounds added into the mix. While the end result is totally listenable, it often lends itself to the “why don’t I just listen to the source material” problem. That’s not always an issue with vaporwave, especially with regards to ECCOJAMS, but it’s distracting here because Mirror’s Edge already has an excellent and highly recognizable soundtrack. It’ll go either way for listeners: a cool rework in the context of ambient vaporwave, or an unnecessary edit of an already great soundtrack. 2The artists are both numbers, too!